Hey there Underground! I hope everyone’s States went well. Originally I thought I’d be kicking off discussion in this article with a quick recap of States through the weeks, but I don’t think enough Week 3 results will be known in time for me to do much Week 3 discussion. Andy also did a very thorough analysis of Weeks 1 and 2. Every metagame is different, so I’d strongly recommend looking at your specific metagame for trends to expect at Regionals. I’ve heard discussions here on SixPrizes about Cities metagames that are small enough, where people anti-deck specific people/friends. In Victoria, our local metagame is puny, so every week is practically a game of rock-paper-scissors(-lizard-Spock). Or would it? This past States I decided to test this notion for myself. I wrote up a list of players who would not surprise me if they made top cut, and came up with 31 people. I realized at the tournament that I missed a few people, but I covered a large majority of the top cut. Then, I made predictions on decks I could see everyone playing. If I knew them or had played them before, I tried to make a prediction based off of what I figured they might play. If I didn’t know them, but knew to watch out for them, I looked up Cities/Regionals/States results to see what type of deck they had played in BLW-BCR or more recently. Mainly, I was interested in how many people in the northwest would be playing Landorus/Mewtwo. How did my predicting capabilities fare? In hindsight, I suppose a couple of my predictions were somewhat wishful thinking. But in grading myself, I’m not allowed to correct my mistakes. Of the people I predicted, whose decks I know, I scored a 63.2%. A couple of my predictions were completely off the mark, and I should have known better, but for the most part, I did ok. I’m not even sure if that’s good on this sort of scale, but take from that what you will. I was able to predict about 65% of the competitive players’ metagame appropriately. My deck choice this past weekend was a response to these predictions, and turned out to be even more appropriate with respect to my predictions than I thought it would be. Given I did decently well in predicting the metagame (and have learned my lesson from this experience), I’ll certainly be trying to do this in-depth research for Regionals. I’m curious to see how well I can do. I’d recommend trying it! If nothing more, it might be illuminating to you about what you should actually expect from a tournament, and can only help with your deck choice capabilities. Right now, I definitely feel like the overall safest/best deck in the format is just straight Landorus/Mewtwo with your choice of support attackers. Don’t get your knickers in a twist, I’m not saying Landorus/Mewtwo is leagues better than everything else. I just feel like it’s the deck with the most positive matchups across the metagame. Because of this, I expect it to be the primary target to counter-deck at Regionals. I also expect it to be the kind of deck where loads of people run it because it is very well-rounded. There are a couple main metagame choices that do a good-decent job giving you a good matchup. Blastoise and Klinklang are what I’m thinking of at least. And both of these decks would benefit from RayEels being taken care of by the excess Landorus/Mewtwo. But this could be my personal metagame perspective. I might be very biased right now, considering half the BC top 16 was a Landorus/Mewtwo variant of some sort. It’s easy to have your perspective of the general metagame warped by your recent tournament experiences. But I do feel like a fringe/rogue deck could be a really good Regionals play. One of my thoughts immediately after the tournament is that Empoleon seems like it would be really good. It’s strong against Garbodor, Landorus, and PlasmaKlang. But, as has always been the case with Empoleon, he’s just not good enough on his own. I’m planning to test a couple different Empoleon variants leading up to Regionals. Landorus/Lugia has also piqued my interest as a way to have an advantage in the mirror match. If anything seems really promising, I’ll be sure to include it in my pre-Regionals article this April. I’m not confident in the cardpool’s capability to produce a quality rogue, but I’m certainly going to try! So with States out of the way, obviously everyone’s attention is focused on the upcoming Regionals April 13th and 14th. There has been a lot of discussion of the interesting techs and cards included in people’s lists this new BLW-PLS format. 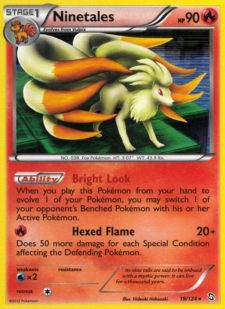 We’ve seen Darkrai tech a variety of helpers like Victini EX, Ninetales DRX, and even Snorlax PLS (for its Block Ability). We’ve seen Blastoise teching Manaphy PLS as alternate (and Ability-less) Energy acceleration against the Garbodor matchup. We’ve seen Zekrom EX Eels taking advantage of Hypnotoxic Laser. Even a Durant/Klinklang PLS (yay) managed to sniff a Top 4. There have been a lot of interesting techs people have played around with, so today I’m going to get into a topic we haven’t had discussed for a while here in the UG. Sabermetrics is the objective analysis of baseball statistics. This analysis is applied to optimize a team’s member to be the best it can be for the price that it is. Major League Baseball doesn’t have a salary cap per se, but it does have a luxury tax system which works somewhat similarly. Salary caps for professional sports teams are a total amount the team is allowed to spend on its players. If a team’s salary cap is 60 million dollars, that team has to come up with its ideal roster while trying to stay within that 60 million dollar cap. In the Pokémon TCG, you have 60 cards, and you’re forced to have a full roster of 60 cards. Ignoring that we can spend as much as we want on our decks, we have to generate a deck that runs as efficiently as possible within that 60 card restriction. Now, this discussion isn’t going to go over list refinement. Taking a 55 card skeleton and rounding it out with your ideal choices is another topic of conversation, and often a metagame-specific choice. What I’m going to discuss here are what I’ll call impact decisions. Impact decisions are choices you make that have a great impact on the way your deck accomplishes its goal. What I’m talking about here are the card choices that completely alter your game plan. These deck-building decisions alter the way you go about setting up the same win condition as someone else. A great example of this from last year was Dual Ball vs. Pokémon Collector. Entering States last year, Pokémon Collector was the king of all search cards. It could grab you 3 Basic Pokémon as your supporter per turn. That kind of search was absolutely brilliant for setup decks. But upon the introduction of Next Destinies, we got Level Ball and Skyarrow Bridge. Two absolutely format-defining cards. These two cards gave ZekEels powerful consistency, and free retreat for 1-retreat Basics. 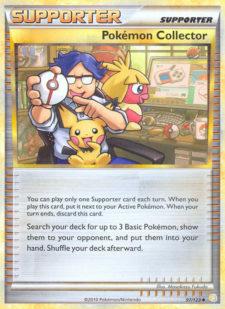 In building ZekEels lists, many players approached the format initially using Pokémon Collector. 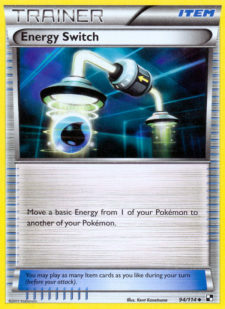 But a few crafty players switched to the “Ball Engine.” This Pokémon search engine used Level Ball and Dual Ball to increase the speed that the deck could play. 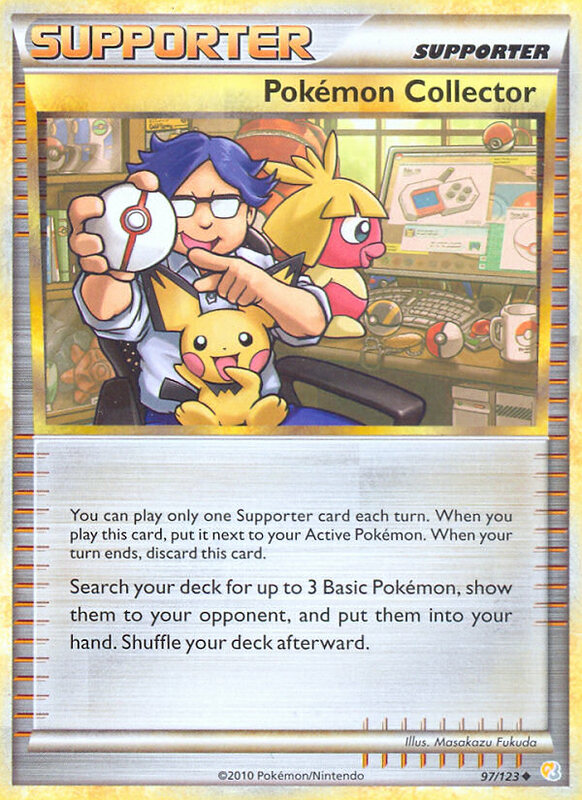 Instead of using a Pokémon Collector as your Supporter per turn, you could instead use a ball card and Professor Juniper, use another ball (or Junk Arm for one) and maybe bench a Basic you drew into. At the end of the turn, you still benched 3 Basics, but the way that you went about doing it was completely different. As a result, the Ball Engine player had drawn through more of their deck, and gained access to more cards, while accomplishing the same task. This proved to be a decisive edge as States progressed. By Regionals, almost everyone was playing the Ball Engine in ZekEels and had abandoned Pokémon Collector in their lists. So the “impact decision” that players made here was to run the Ball Engine to search out their Pokémon rather than Pokémon Collector. Both decks sought to bench as many Basic Pokémon on their turn as possible. And both decks were able to bench about 3 Basics on their turn due to their choice of search cards. But one deck list did so while also increasing the total potential cards seen/played by the end of the next turn. Once again, we are approaching Spring Regionals. During States and heading into Regionals, I’ve been focusing my testing around these “impact decisions.” And like last year’s Pokémon Collector vs. Dual Ball example, I can spot a few impact decisions that are being made in a variety of decks this format. My intention is to go over these impact decision examples in the big decks, and to hopefully generate key discussion. If you disagree, I’d love to hear your reasoning in the forums thread! This is by no means an open and closed case. RayEels is a Bench-clogged deck. Ideally you aim for 2 Rayquaza EX and as many Eelektrik as possible. I often find in my games that I gun for 4 Eels, and fail to obtain all 4, leaving myself with a maximum of 3 at any one time, and more often 2 against decks like Darkrai or Landorus. Perhaps a Tynamo or Eel is prized, perhaps they’ve already KO’d a Tynamo, doesn’t matter. I find myself with a field that often consists of 2 Rayquaza EX, 3 potential Eelektriks, and one spare slot. That spare slot is why the Emolga vs. Keldeo dichotomy exists. Simply put, there is only room for one bench-sitter that isn’t a Rayquaza EX or Eelektrik. So… what we must do is analyze what each brings to the deck, how their presence impacts the choices we can make, and finally come to a conclusion as to which is most worth including in the deck. Emolga’s strength can bench 910 lbs. Emolga’s strengths are a resistance to Fighting, free retreat, and its Call for Family Attack. Call for Family benches you 2 Basic Pokémon from your deck, at the cost of an Energy attachment and your Attack per turn. This kind of Attack is primarily useful on the first turn. Thus, the optimal way to use Emolga is to get it into the Active position in the first turn. This requires you to either open with it, or search for it and Switch/retreat into it, while also attaching one Energy. This early-game combination is most limited by the ability to get Emolga in the Active position. Obviously, this is best facilitated by a high count of Switch/Skyarrow Bridge. Search cards are already usually near maxed out, so that aspect does not seek additional cards to facilitate the play. The same goes for attaching an Energy card. So the only way Emolga potentially alters your refined list is perhaps adding back that 4th Switch. After this is achieved, Emolga sits on your bench all game with an Energy attached (unless you’re a madman and tech Energy Switch). But Emolga does offer free retreat, even when your opponent is winning the Stadium war. Keldeo is not a card that sets up like Emolga. Instead, Keldeo is a playmaker, that facilitates Dragon Bursts in the face of adversity. If you only have access to one Rayquaza EX (who is currently Active), Keldeo EX can Rush In, allowing you to Dynamotor to Rayquaza EX, and then retreat or Switch back to Rayquaza for the KO. Keldeo EX also helps prevent your Eelektriks from being Catcher-stalled, as it can be Dynamotor’d to, and then Rush In to retreat for cheap. Keldeo’s greatest strength, however, is probably the fact that it is a field-based “out” to these problems. Rather than having to search your deck for the clutch Switch, or that 3rd copy of Rayquaza EX, Keldeo EX (who was benched earlier) works even if the opponent N’s you to a low hand, though its efficacy can be questioned sometimes. Emolga’s primary weakness is that it consumes an Energy card the whole game. You can tech an Energy Switch to free that Energy up, but that means you’re dedicating an additional card just for the Call for Family attack. Why not just add an extra search card if you haven’t maxed them out completely? However, Emolga’s greatest weakness is probably how it hinders your second turn potential. By attaching one Energy to Emolga, you have failed to begin charging an attacker. What’s more, you have failed to attach an Energy which can be discarded for Dynamotor. Simply put, using Emolga is not going to give you a powerful turn 2. Emolga invests for the late game. However, the deck is not reliant on Emolga, and can set up without it just fine. Emolga is just an additional crutch the deck can lean on if it needs to. So in those troublesome first-turn situations, Emolga is there to bail you out and ensure you a strong mid-game. Keldeo doesn’t demand being in the active spot immediately like Emolga. It is also unlikely you’ll start with Keldeo, so hindering an explosive start is not a concern. Keldeo’s biggest weakness lies in its efficacy (how effective it is) at doing its job. The above strengths I listed for Keldeo are all valid. But they all rely on either one Dynamotor going to Keldeo for the retreat with Skyarrow in play, or using a Switch. The Switch is ideal, and allows the play to go off without a hitch. But if you can’t find one then even if you can Rush In, that doesn’t necessarily mean you’ll be KO’ing/answering your opponent. Keldeo requires pre-emptive attachments to your attackers, or Keldeo itself, to become effective. And simply put, sometimes you don’t have the time to do that. If this is the case, Keldeo is dead weight. It appears effective, and allows for many tricky plays (including simply tanking a hit), but it won’t add offensive power, despite how maintaining offense is its primary purpose in the deck. As I said, Keldeo offers you on-field options/plays to make, which can be invaluable. But, if all it lets you do is hope your opponent can’t answer your on-field play, then Keldeo’s reason for inclusion falters. Both of these cards are most certainly valid choices for the deck to make. Both have their strengths and weaknesses. But despite my impressions at the beginning of States, my testing over the last couple weeks has led me to one final conclusion. Looking at those strengths and weaknesses, there is one thing in my previous dismissals of Emolga that I ignored, possibly due to my lack of more intensive RayEels testing. 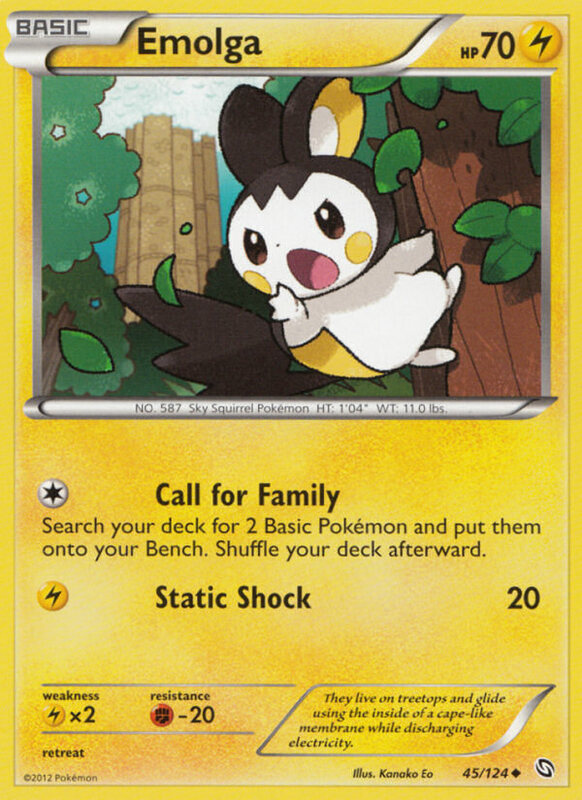 When Emolga’s only reason to be used in the deck is to be a starter, it’s easy to dismiss it as an Emolga start might only happen say… half your games. But in the same way that RayEels with Keldeo sets up just fine, RayEels without an Emolga start does too. The argument that you can “Dynamotor to Keldeo, Rush In, Dynamotor to Rayquaza, attach, retreat, Dragon Burst” is valid. But in order to swing for 180 with Rayquaza, you need to have 3 Eels in play, as well as Skyarrow Bridge, and one Energy already attached from last turn. This is very doable against Blastoise (as they can’t target your Eels), but is wishful thinking against Landorus or Darkrai. As I mentioned, 4 Eels is the goal, but often I am only able to maintain two at any time against the decks that actually give me problems. Emolga, however, is there as an option to make sure you can get out of a worse start. If you’re not going to have a strong turn 2 anyways, you might as well make sure you’ve got a good turn 3. Keldeo + Switch is an often-used combo to pull off a clutch Dynamotor/Dragon Burst, even without SAB. But just Switching to an Emolga will do the exact same thing. When Keldeo’s job is already done by Switch, the need for Keldeo decreases. As I mentioned, though it is an on-field answer in the face of N, though it’s also not likely to actually facilitate a Dragon Burst for 180 against your problem matchups. Emolga may hog an Energy all game, but just don’t use Emolga that game if it’s only going to hold you back! As a final strength, with Darkrai and Landorus running Virbank City Gym, it’s foolish to think you’ll have Skyarrow Bridge whenever you need it. Emolga’s free retreat is a rather nice crutch in these situations. It’s tough to compare an impact decision like this without a deck list. Bicycle is a card that you don’t cut Supporters for, but rather just include on top of your Supporter lineup. So here’s my current list, because Bicycle needs to come from taking out these cards. In preparing to deal with Garbodor, Dowsing Machine became an easy way to “increase” the number of Tool Scrapper in my deck. It also gives me that additional Switch (but unfortunately does not search for a T1 Switch like Computer Search would). Essentially, I want more Switch/SAB outs in the deck, but only have so much room and want to ensure I can deal with the metagame at large. I won’t compromise my consistency. Now, with the list already so cramped, the only thing I see that I would want to remove is the teched Zekrom (there for Tornadus EX). Still, I’ll give Bicycle its due diligence. Here’s a post of one of the RayEels lists that won in the first week of States. As you can see, it did run 2 Bicycle. The important part of this list is what have they cut from my list skeleton to fit those two Bicycle in? 1 Supporter, 1 Energy Search. They also were running Computer Search to my Dowsing Machine. 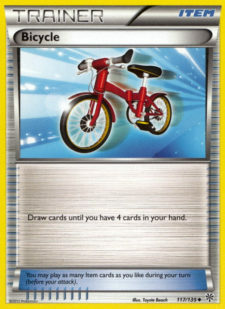 So for the purposes of my “impact decision” discussion, let’s pit 2 Bicycle against the 3rd Bianca and 1 Energy Search. I don’t think a “strengths/weaknesses” analysis is appropriate for this comparison, as the two sides are composed of very different purposes. What I will say is that for every Supporter I cut, I would hope to add at least 2 Bicycle to make up for it. So I like their decision there. What I don’t like is how they’ve made it so difficult to run into Fire Energy. My lists have traditionally run 5 Fire, and only in the last while have I converted to 4 with an Energy Search. I made this change because I realized that, though you do need to keep an ample amount of Fire Energies throughout the game, the main reason to include 5 was to run into them easier. Super Rod will help cover for the lower total Fire count. But, to run only 4 Fire Energy, you need Computer Search as that extra out. This States-winning list was able to pull through, I feel, thanks to a lack of Garbodor in their metagame. 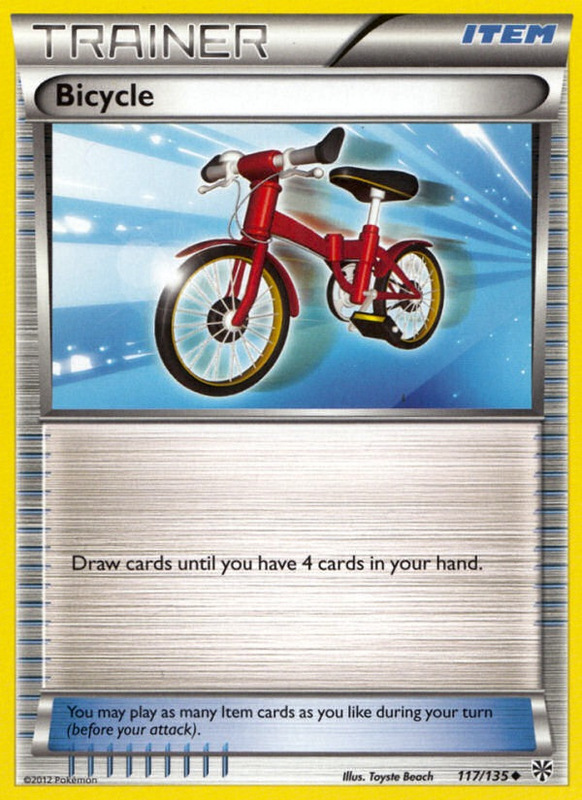 So, while a great call by them, I wouldn’t say that Bicycle is a stronger play in the modern metagame. Thanks to Garbodor’s overwhelming success in Week 1, I feel it’s important to keep your lists ready for imminent Garbodor presence. This means, to me, Dowsing Machine to artificially increase my Tool Scrapper count. I also want to try and keep a good number of non-EX attackers. 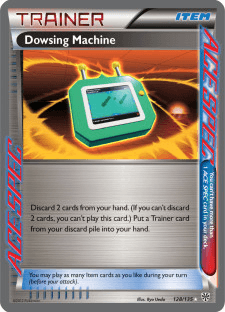 Non-EX attackers like Zekrom, Victini NVI 15 and Rayquaza DRV don’t discard their Energy as they attack, which helps make the most of your 1 turn of Dynamotor. Unfortunately my modern lists have trouble finding room for much of these. Maybe I should just bite the bullet and sacrifice some of my consistency? 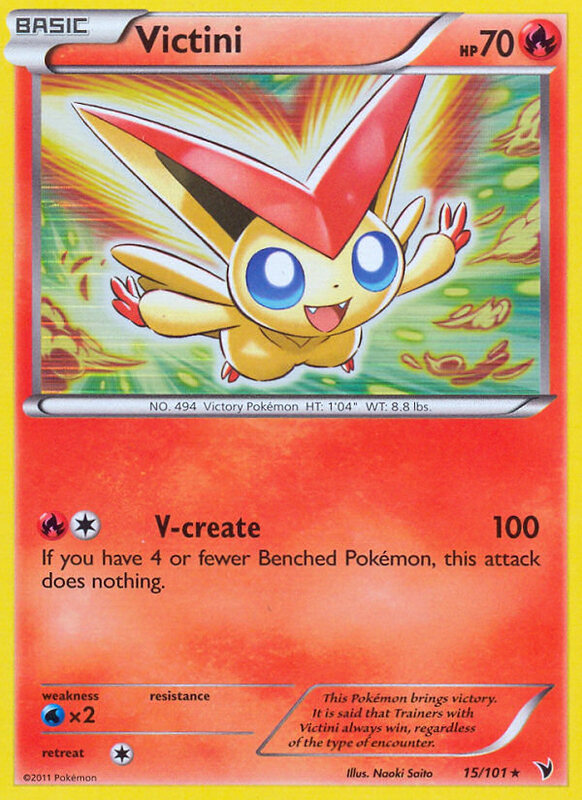 As an aside before moving on, I’m also testing a one-of Victini EX as a way to accelerate energy when playing against Garbodor. I have found that no amount of Tool Scrapper (2 + Dowsing even) is enough to make Garbodor an even matchup for RayEels. A good Garbodor player should, more often than not, win the best of 3. But Victini EX alongside 1 Scrapper and a Dowsing Machine has been showing interesting promise. I cut my Zekrom for Victini EX. 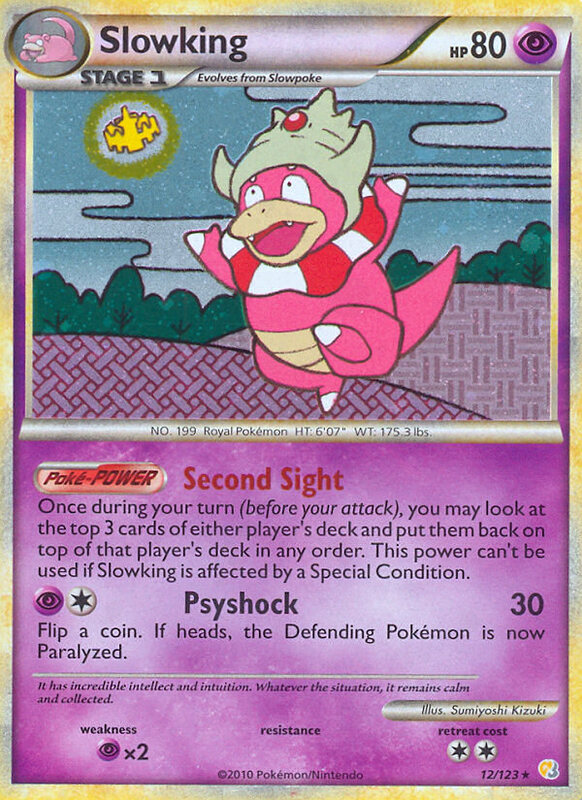 I’ll probably write an article on TCG with Hats when I’m more decided on this tech. These 3 cards all serve similar purposes in Blastoise, so the question is, which card makes for the optimal inclusion in the deck? Cilan nabs you 3 basic Energy from your deck. That’s definitely strong in Blastoise. I think Cilan did gain something from Plasma Storm. 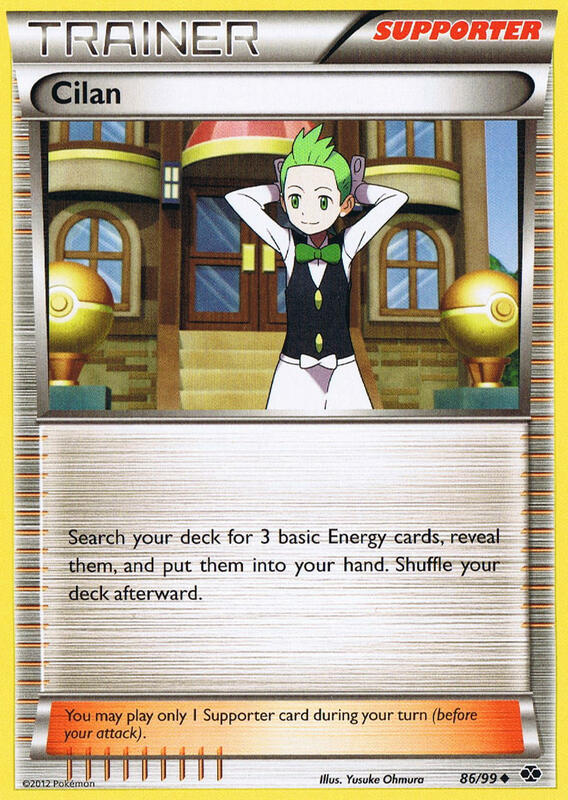 The fact that the deck is now running an alternate basic Energy type (Lightning) increases the number of situations where Cilan alone would be perfect. Without the need for more than 2 or so Lightning in a game, players make the compromise of slight inconsistency (low Lightning counts) in order to make the most out of their Blastoise. Cilan being an Energy-search card, provides an additional out to that clutch early Lightning Energy when you need it. Energy Retrieval is a staple in the deck, so it’s not as though you won’t be running Energy Retrieval. This discussion is about that 4th Energy Retrieval I see some lists skimping out on. Energy Retrieval can recycle 2 Energies from the discard, which both increases the overall Energy count available to the deck, and can allow you to grab that “clutch” Lightning as long as it’s already in your discard. Thus, it only really grabs you your Lightning reliably in the mid-game. Only being an Item card is also a big plus, as well as providing you immediate access to the two Energy you recover. Super Rod isn’t a perfect analogy to the other two in this impact decision. But Super Rod recovers Energy like Energy Retrieval, with the added plus of recovering Pokémon. In many builds, the Super Rod can give players comfort in running tech attackers, or just provide an out to a harsh “discard a Blastoise” start. Thus, Super Rod is more versatile than the other two, but less immediately powerful. Again, being an Item card is a plus over a card like Cilan. Unfortunately, the lack of putting Energy in your hand makes it less useful to Blastoise than the other two. Why does this card have to be a Supporter? Honestly, by using my Supporter per turn I can usually find myself cards that net me 2-3 Energy. Cilan is also strongest in the first 3 turns. After that, the card’s strength dwindles significantly, and very quickly it becomes inferior to Energy Retrieval. 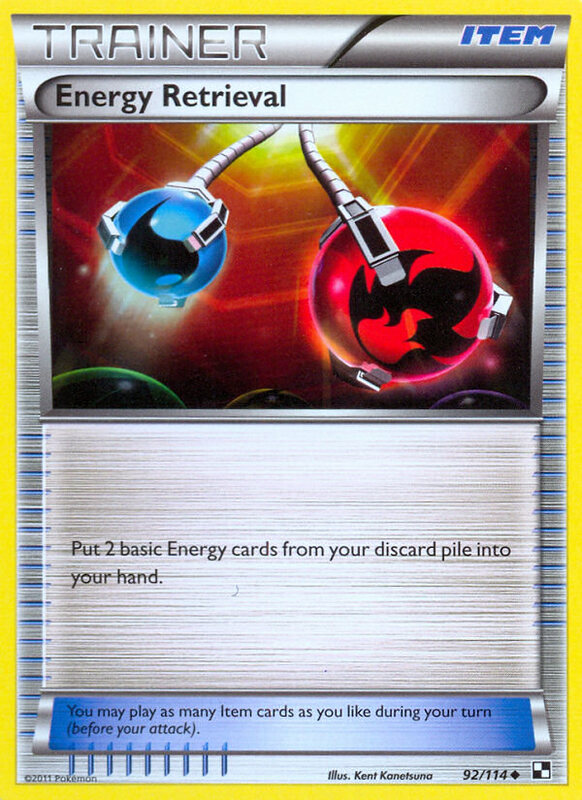 I see Cilan vs. Energy Retrieval (as an inclusion in the deck) kind of like Pokémon Collector vs. the Ball Engine. With Energy Retrievals in the deck, hitting an Energy Retrieval and an Energy off of your Colress, Juniper, Bianca etc… often already gives you 3 Energy. And 2 of them would even be recycled, rather than sapped from the deck total. Cilan doesn’t actually increase the number of Energy your deck can attach. It’s kind of like the fallacious Random Receiver as a Supporter mindset. Not that people treat Cilan like they sometimes do Random Receiver. Energy Retrieval’s worst problem is how dead of a card it is in your opening hand. That’s the main reason people don’t run the 4th copy. 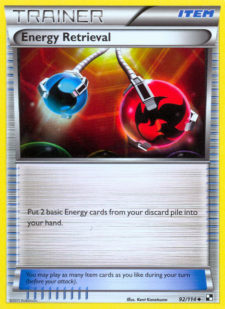 Energy Retrieval is undeniably great in the deck, it’s just about whether a full playset is worthwhile. I find that the 4th Energy Retrieval works best alongside a full count of Ultra Ball. Without a full compliment of Ultra Ball, you may not discard Energy early enough to make Energy Retrieval come alive quickly enough to be worth it. I also run at least 15 Energy in my Blastoise list, which better facilitates 4 Energy Retrieval. Super Rod’s greatest weakness is once again its lack of immediate aid. Though recovering Energy to the deck prior to, say, a Juniper can indirectly become immediate aid. Super Rod is also a dead card like Energy Retrieval in your starting hand. Without Pokémon or Energy in the discard when you draw Super Rod, it has no use. Unlike Energy Retrieval, Super Rod is still dead as far as Energy recovery goes in the mid-game though. Why? Because it negates the usefelness of Energy Retrieval. If you remove the Energy from the discard too soon, then Energy Retrieval stays dead for longer. You don’t want to Super Rod in RayEels on turn 2 or 3, the same often goes for Blastoise. So as far as Energy recovery is concerned, Super Rod is very inferior. Again, it’s about versatility though. Super Rod is inferior in terms of Energy recovery, but is a great way to recover a tech Victini/Moltres, or a discarded Blastoise. This verdict very much has to do with what else is in your deck, but one thing I know I can do without is Cilan. Again, the reasoning is similar to Pokémon Collector vs. the Ball Engine. I can use an alternate Supporter that turn and run into 1-2 Energy naturally by just drawing from my deck. And if I’m running additional Energy Retrievals, then my potential Energy drawn only increases once you hit the mid-game. If the reason to include Cilan is for early-game presence, then I disagree with that reasoning. Running a 1-of Supporter that can only be searched for immediate use by Computer Search (which can grab so many amazing things in this deck), is not something you do with the intention of getting it in the early game. I’m not saying that Cilan is useless mid-game. All 3 of these cards are good choices for the deck, and Cilan giving you access to 3 Energy is amazing when the deck is already set up. But if it comes down to Cilan vs. 4th Energy Retrieval, I choose the 4th Retrieval. With 4 Energy Retrieval, I can treat my Energy as if I was playing RayEels, and send it to the discard immediately. That way, I can more reliably draw an Energy Retrieval, which nets me “7 cards” off of a 6 card N/Colress. If the purpose of Cilan is to nab you 3 Energy cards, that same end-result is often generated by a Supporter + Energy Retrieval. It’s not a guarantee like Cilan, just like Dual Ball wasn’t a guarantee compared to Pokémon Collector. But in terms of the speed and flow of the game, Energy Retrieval doesn’t prevent you from playing through cards quickly, while Cilan does. Super Rod is also inferior to the 4th Energy Retrieval in terms of Energy recovery. But Super Rod is a valid choice in a list running a 4-0-3 Blastoise line, just to prevent prizing or harsh early discards from ruining your day. With 4 Skyla in the deck, it is easily searched out, so you’re very likely going to be able to Super Rod within the time frame you need to. Super Rod is also a staple in my opinion, if you’re running any tech 1-of attackers/support Pokémon (e.g. Manaphy, Moltres) for specific matchups. The battle of curing status conditions. A lot of players treated Keldeo EX as a staple in approaching the SPT’s format in their Darkrai/Lasers lists. Why did Keldeo garner such attention? The reasoning was simple. Keldeo is searchable by Ultra Ball, and it is an on-field answer to status problems like Sleep from Hypnotoxic Laser. Keldeo is also re-usable, and can facilitate Dark Patch plays by using Rush In to bring an active Darkrai to the bench so it can be targeted by Dark Patch. This sort of play partners well with Max Potion, and prevents Catcher from disrupting which Darkrai you want to attack with that turn. If your list is running alternate attackers like Mewtwo and Bouffalant, that Keldeo becomes a little more useful as well, as sometimes these Pokémon won’t have Dark Energies attached, which may prevent them from retreating for free when Catcher’d and N’d. Switches your active Pokémon, heals status conditions. Switch is an Item card, and can be Junk Hunted for, as well as searched out by Skyla. However, there are two reasons to run Switch in a Darkrai deck. One is to prevent status conditions. The second is to be a Switch when facing Garbodor. Garbodor is the only deck that can Catcher-stall Darkrai. Switch is there to ensure that your fast start isn’t negated by Garbotoxin + Catcher. Darkrai’s strength against Garbodor is that it is fast and consistent. If Garbodor can prevent Darkrai from being fast by abusing Catchers, the deck has a difficult time dealing with cards like Landorus EX. Switch is your searchable out to help with this. Though the “Strengths” paragraph makes Keldeo seem really awesome up there, the blunt truth is that Keldeo often doesn’t do anything for the deck. If you’re not facing a deck with Hypnotoxic Laser (say Blastoise or RayEels), then Keldeo doesn’t do much more than sit on the bench wasting an Energy attachment. Furthermore, Keldeo is juicy bait in the mirror for the 170 HP EX knockout. 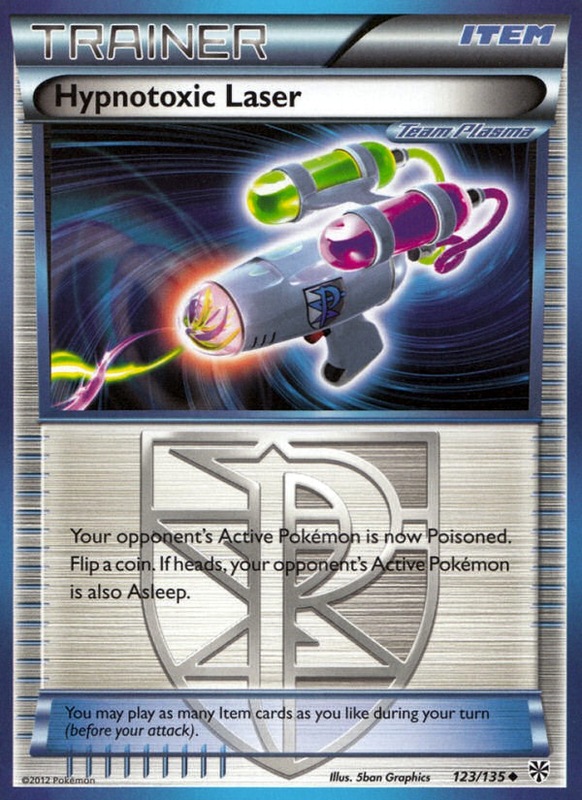 The idea that Keldeo would prevent Hypnotoxic Laser damage from building up was a theorymon problem we invented in preparing for the new format. But I think everyone can agree that Hypnotoxic Laser is more often than not a glorified PlusPower. Rarely (especially in Darkrai) will a Pokémon stay active and take 3 Poison damage between turns. Though Darkrai mirrors can be swung greatly by success on Hypnotoxic Laser flips, HTL is primarily used for additional damage to take KO’s. That 25% chance that you stay asleep only comes in to play as often as you’d expect. And if only one of four Hypnotoxic Lasers will successfully stall, then Keldeo’s whole status-healing purpose comes down to an average of one Rush In per game. And as I mentioned, you leave a juicy 170 HP EX for their Dark Claw. Unlike Keldeo, Switch is not re-usable. More than that, Switch isn’t very searchable either! Keldeo is searched easier, and can be benched when you run into it. Switch can only be searched by Skyla and Computer Search, which essentially consumes your Supporter per turn just to Switch out. The number of Skylas you run helps determine how strong Switch is as a one-of tech. Though only 1/4 of HTL’s will result in you staying asleep between turns, that is only probability. Obviously situations occur where you stay asleep twice in a game. Switch fails here where Keldeo would succeed. Honestly, this one is down to the wire and I’d love to see some discussion on it. Currently, I’m playing both! Everything about Keldeo seems strong, and I do like it in my deck. But even if I successfully use Keldeo to get out of a status condition, I often find that Keldeo negates some of its usefulness by virtue of providing a target, especially in the mirror. Keldeo’s Rush In is also useless against Garbodor, as is Keldeo as an attacker (except perhaps if you’re running DCE). That one Energy that ends up attached to Keldeo can often hold me back from attacking a turn sooner as well, when I go for the safe play. Against the mirror, I see Keldeo over Switch as a minimally better inclusion, against Blastoise neither does anything, against RayEels it’s the same (unless Fliptini techs are still running around), and against Landorus/Mewtwo I see it once again as a minimally better inclusion. But when facing Garbodor, Keldeo EX is vastly inferior to Switch. So while Keldeo may provide some benefit against Darkrai or Landorus/Mewtwo, that same benefit can be provided by Switch. And against Garbodor, Switch is clearly superior. To me, the only clear-cut case in which either is vastly superior to the other is against Garbodor, which has me leaning towards Switch as the superior option in this dichotomy. But the need to Supporter for your Switch (or Computer Search) does leave me with my doubts. As you can see, I’ve found room for both Keldeo and Switch. Darkrai is a deck with so much room, that I can sacrifice the one Energy Switch to make room for that one Switch. Overall, I’ve very much liked how this deck list functions, and how it can answer the metagame. The one thing I think all Darkrai lists should keep is 1 Max Potion. Without it, prepare to lose to the mirror or Big Basics that run their copies. 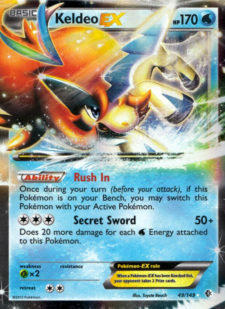 This deck list also illustrates the second impact decision for Darkrai EX. Why are these two a dichotomy? Well, Crushing Hammers are some players’ way of dealing with PlasmaKlang. 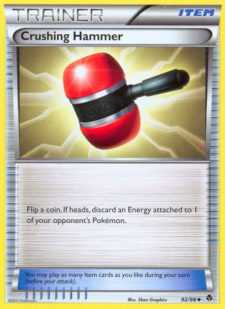 The allure is of course that Crushing Hammers are never completely dead cards in any matchup, while Victini is often useless. Also, Klinklang is more of a fringe deck, so it seems more efficient to tech weakly for it, while maintaining strength in other matchups. As I just mentioned, Hammers are never dead. Both decks with Energy acceleration are running off-Energies now, and decks without acceleration hate Hammers. If your strategy to deal with PlasmaKlang is to Catcher, Laser, and Junk Hunt, then Hammers throw in that 3rd difficulty they have to deal with. The three combined can do quite a number on the deck. If you can prevent Cobalion from using Steel Bullet, you can try to take Righteous Edges and even Max Potion to renew your Sableye. In the above paragraph, I described a way you can wear down the PlasmaKlang player. By itself, this method is almost never successful (Catcher + Laser). However, if you throw in a Victini NVI 15 at the right moment, your opponent can have quite a difficult time recovering. One of my favourite sentiments from when I played Hammertime was that “The best hammer in your deck is Darkrai EX. No other card can remove 3-4 Energy from play in a single turn.” If the goal is to counter PlasmaKlang, then the best Hammer is most certainly one that removes all their Energy. Victini does just that. It’s easy to charge up, and its attack condition is easy enough to pull off by mid-game. Though Victini doesn’t give you an auto-win or anything, I can always see my end-game strategy when I’m playing Victini in the deck. Attaching a Fire Energy to a Darkrai also allows it to be the target of Energy Switch later in the game, when you need it (rather than discarding it or N’ing it away). The flips. If Crushing Hammers were guaranteed to work 1/2 times, I’d be ok with their inclusion. But if you have a game where you start out flipping 0/2, that might be too late (i.e. there’s a Steel Bullet coming at you). That means 25% of your games against PlasmaKlang, the Hammers were a moot inclusion. What’s more is that you need to run into them quickly enough, which means running at least 3, preferably 4. With the inclusion of Hypnotoxic in the deck, the room for Hammers is now occupied, so you have to start cutting 4-of cards or important techs to make room. If Hammers were better than these cards, they’d already be staples in the deck. They aren’t for a reason. Victini rarely comes into play in any other matchup. Oftentimes you would rather Sableye be your “7th Prize” than Victini. And using Victini near demands a Sableye in play anyways, since you only run 5 total EX’s. It’s highly improbable that you have 4 Darkrais, and a Keldeo in play, and you’re just DYING to bench that Victini. As such, Victini really is a tech for only one matchup. You’ve diluted your Energy lines and included a bad starter for only one fringe matchup. If you face that matchup, congrats. If not though, you’re playing with 59 cards and two off-Energy. Enjoy. As you can see, I have nonetheless chosen Victini. I’ve always appreciated Darkrai’s techability, as running 2-3 off-Energies never really impacts consistency too much. Night Spear takes one off-Energy in its cost, so having to attach a Fire is never really a burden. As such, you really are playing with 59 cards instead of 60. Not a great loss. If the deck was really crammed, that could make a difference. But as is, I haven’t sacrificed much to put that Victini in there. Heck, I’m running three 1-of techs on top of teching in Victini and I still have a full set of 4-of’s for everything I want (sans Energy Switch). That’s also while keeping 14 Supporters + Dowsing Machine. I don’t sacrifice near as much in terms of consistency to tech Victini in, compared to Hammers. There is one unspoken strength I haven’t mentioned for Victini as well. Though its true Victini negates the “7th Prize” factor of the deck, there is one matchup where you may often find yourself benching 2 Sableyes. 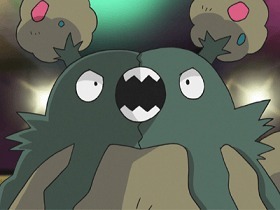 Garbodor. You want those extra Sableyes for Catcher stalling, and recycling Hypnotoxic Lasers. Sableye also nets you back Dark Patches when you’re missing your free retreat from Dark Cloak. Point is, the 2nd Sableye often hits the field. While playing a minimal number of Basics against Garbodor is the ideal strategy (to prevent Catcher-stall), certain games don’t always go your way. Victini is an attacker that can KO a Garbodor (or finish off a Landorus/Mewtwo) with only 2 Energy. Only requiring two Energy is a big plus when you don’t have free retreat. It means the number of Energy you need to put in play that turn in order to attack is one less. With Switch in the deck, it is also very easy to charge Victini up. So when the situation is right (like when that’s their only Garbodor, or Landorus could fall to HTL damage because of the 100 from V-create), Victini can shine in the matchup. The potential BDIF of this format is not without its dichotomy. The most important one I can see, that I would like to discuss is your choice of ACE SPEC. If your deck is Tornadus-focused, I think Computer Search is your ideal ACE SPEC as it is the only way to grab a DCE turn 1. But if Tornadus is not the focus of your deck, then the choice is muddied (for me). Get back any Trainer card. Dowsing Machine offers an additional Supporter out, which can sometimes be difficult to fit. For me, I love that extra Supporter out. But I’m a slave to 15 outs to Supporters. I see lists running 13-14 and I either cringe or wince. Dowsing Machine also offers you that extra whatever. Maybe you need it to win the Stadium war, or to get an extra Max Potion or Switch. If you’re running any 1-of techs, Dowsing Machine is also highly preferable to give you that extra whatever you feel is important. Scramble Switch is a utility card. It moves DCE’s around, allows amazing Prize denial when partnered with Max Potion, and is also that extra Switch out for the deck. Though you lose a pseudo-Supporter out that you would otherwise have, Scramble Switch is just a good card in the deck in its own right. Neither of these cards have weaknesses. They’re both flat-out good. I prefer Scramble Switch. The reason? Landorus/Mewtwo isn’t a deck that needs a Supporter per turn (though it of course appreciates it). The most important part of the deck is getting your Energy attachment per turn. And Scramble Switch plays to this aspect of the deck. If Scramble Switch can keep 2-3 Energy in play, I feel like that is more powerful than most anything I could do with Dowsing Machine. Again, both of these cards are good in their own right, and this decision is very personal and also deck list-dependent. But as a general rule, I support Scramble Switch as the ACE SPEC of choice for Landorus/Mewtwo. I hope that discussion was useful! I’m looking forward to tallying the results throughout States on my Who/What Won thread on the PokéGym. There is a lot to consider leading up to Spring Regionals. Any time there’s a break between weeks, people have time to reflect on their play and get comfortable with a totally new deck if they need to. So you can see a very big shift in your regional metagame from the last week of States. Of course, it is just as possible that the relative proportions of decks don’t change at all. So in preparing for Regionals, the best way to arrive at your deck choice is to play what you’re comfortable with, and what you feel has the best chance of winning. Perhaps that is the deck without auto-losses, or perhaps it is the deck with a bunch of good matchups, and a couple shaky ones. Whatever you arrive at, the best advice anyone can really give is to be really comfortable with that deck. Try to get in testing games against as wide a variety of decks as possible, and try and get insight into matchups from other players! I know as a Garbodor player this week, I was asked about why I didn’t set up a Garbodor to shut off an opponent’s Bouffer. My reason being that if I evolve a Garbodor, I can’t use a clutch Garbage Collection (combined with N to 2) to mount a comeback, and still force the 7th Prize. But of course, situations can arise where removing Bouffer is highly preferable. Considering we’re just out of States, I think the best thing you can do to start preparing is to start discussion. Try and amass as much knowledge of the format as you can, and be exposed to as many perspectives as possible. We have 3 weeks to prepare, so this first week is my “research” week. After all, knowledge is power. P.S. Don’t forget to check out mine and Starmetroid’s blog, TCG with Hats! I’ve got my Provincials tournament report up there. And trust me, it’s a good one.